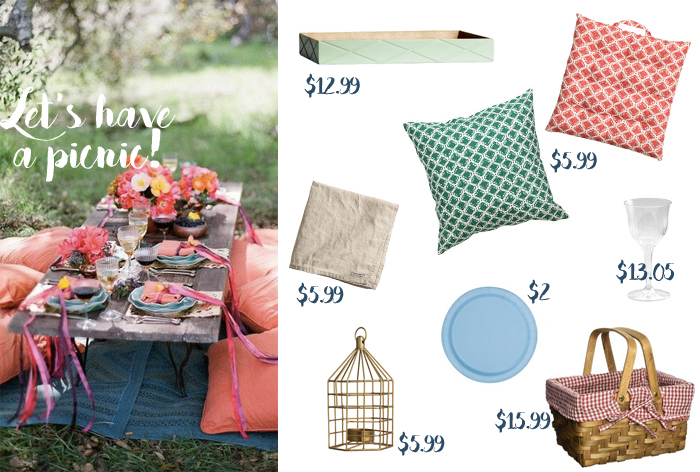 Why are we doing a post about summer picnic decor? Well, take a look at the weather outside PLUS it’s the weekend – so yeah, you should grab your bike and couple of friends, drive down to the lake, beach or the next park and get into your picnic mood! A couple of cushions, pretty lanterns, delicious snacks and you’re all set!